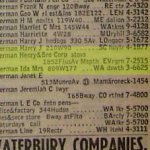 If you happen to have any advertisements or company catalogs, I would like to acquire them or get a scan or photograph. I would also be glad to pay you for copies of them. Please email me with any information that you may have. Thanks. 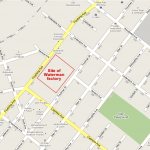 See also our Buy/Sell/Parts page as well as our Stove Sites and FAQs pages. 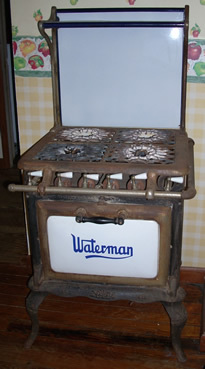 Below are photographs of Waterman stoves that I have collected. If you own a model not posted here, please get in touch. I would love to collect and post other photos. 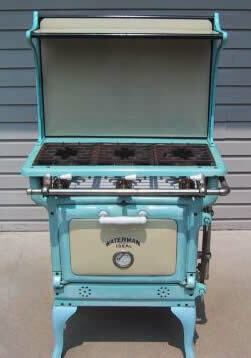 Many have asked me what their Waterman stove is worth. Always begin with the most important factor: condition. Condition is critical to value. 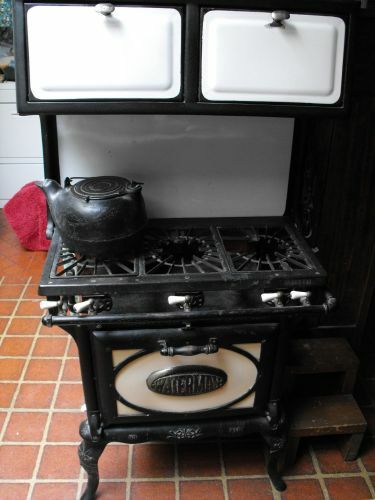 99.9% of vintage stoves have been used and have rust in the ovens. They may look presentable but they are not in like-new condition. The big money in vintage stoves is paid for fully restored showroom shiny fancy stoves. Contrast that with the humble Waterman stoves which are fairly plain, and are probably destined for a camp or cottage rather than a trendy suburban home. 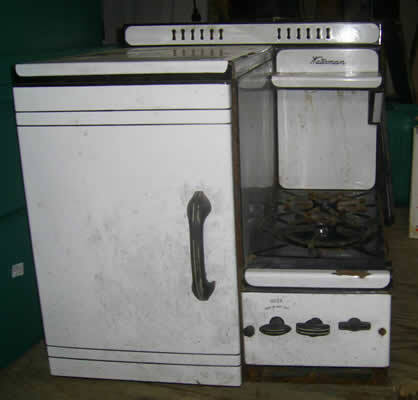 Most of the stoves shown below in average shape would sell for $50-200, or whatever you can get. Some will require a good marketing effort to find any buyer. The fancier models like #5, #6, #8 or #20 in clean condition with no chips, damage or missing parts could be worth up to about $500. These stoves are of very simple design: gas lines to valves and lines then go to the burners. Assuming everything is fitted up correctly and there are no leaks, you can use them. No electronics to break. 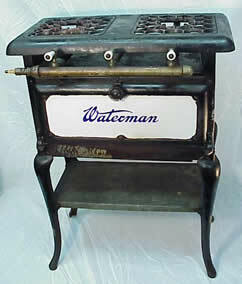 Most Waterman stoves do not even have pilot lights so they need to be hand-lit. CAUTION: Gas can be extremely dangerous and needs to be treated with great respect. If you don’t know what you are doing, hire a professional to make repairs or connect the stove. 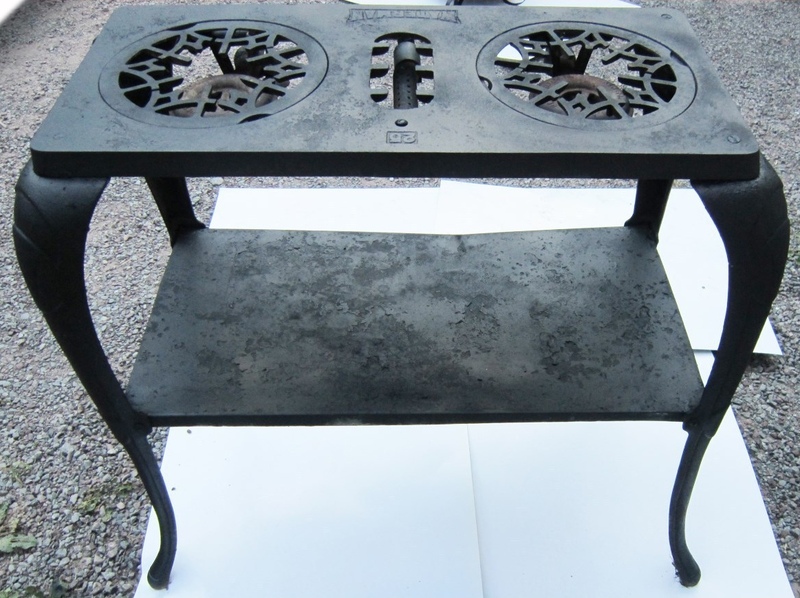 See our separate page on stoves and parts – you can post a listing there if you like. on ebay. It was located on Long Island. 4. 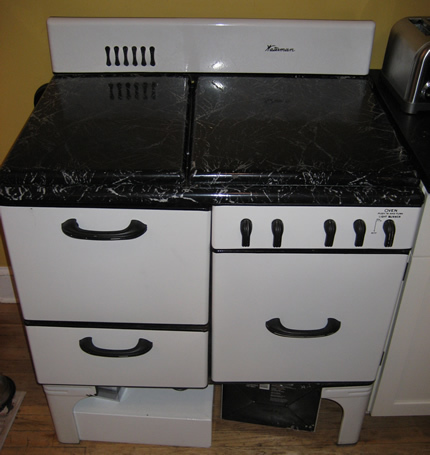 This four-burner is nearly identical to the one at left. The knob for the oven is different. It’s identical to the 4-burner in our kitchen. 7. 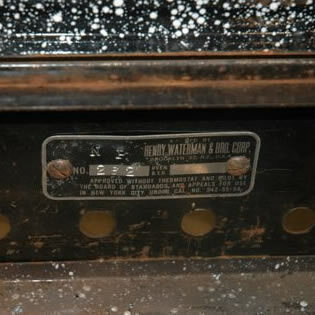 A fellow Waterman stove enthusiast submitted this photo. Two burners on the right. Not sure if it originally had legs or was meant to be a built-in model. 8. 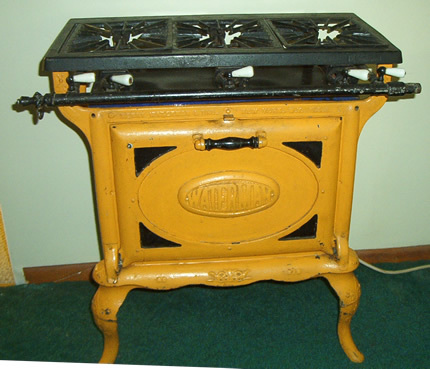 Here is a yellow enamel Waterman Stove submitted by a visitor to this site. Four burners on the right side. How the heck many models did this company make? 11. 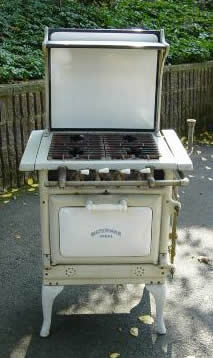 “Big Bertha” large model kitchen stove – photo provided by visitor to this webpage. 16. This one got painted somewhere along the way… 17. Another tabletop model – seen on ebay. 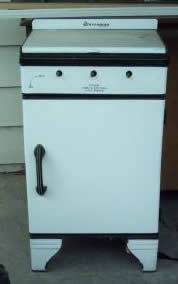 I have an old waterman 4 burner gas grill with 4 legs.I was going to scrap but thought otherwise, It was not garage kept and looks used so Im not asking for much if I dont have to deliver it. If anyone is interested I live in New Jersey #2013154237 call/text. 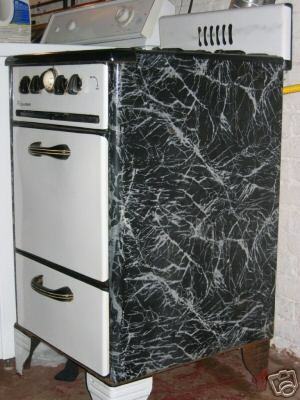 My mother in law is giving me this stove. She got it out of her grandparents basement. It’s been in their garage for years. So it would be our great grandparents. Not sure if you’ve seen this design before? I’m planning on restoring it and using it as a decor piece. 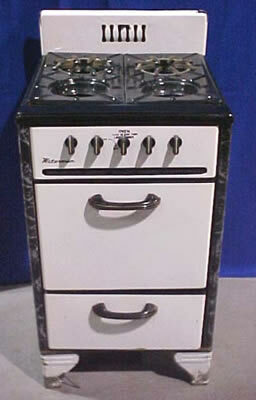 Didn’t know if you’d seen this design or if you knew when these stoves started being manufactured. Please send a photo via the contact form! I am looking to sell a 3 burner stove (#14). I don’t know anything about it. 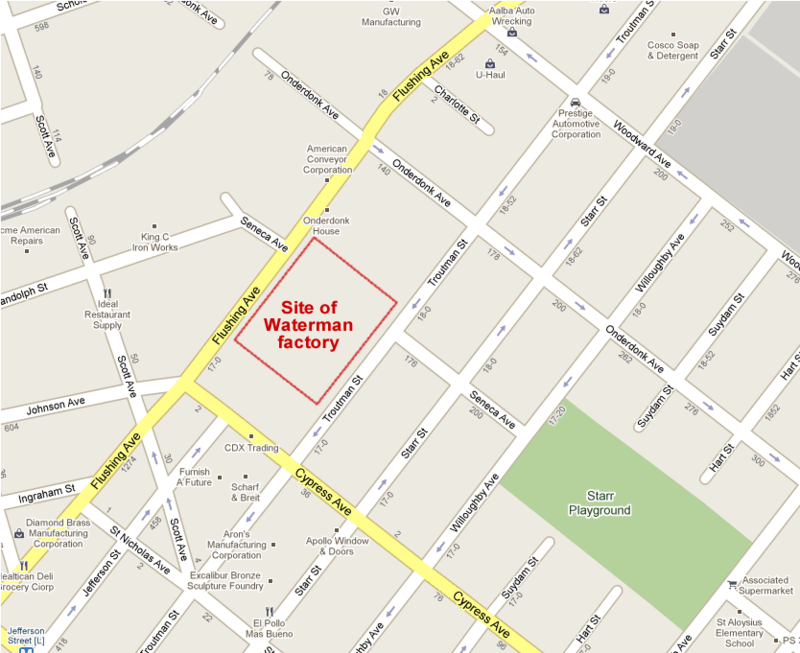 If you would like to provide a photo and contact info on the for-sale page, get in touch with me via the contact form. 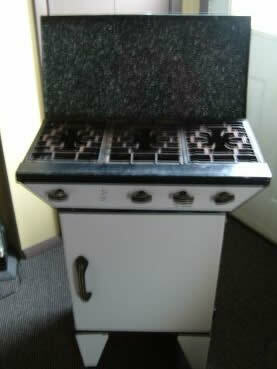 I do hear regularly from people looking to acquire stoves. 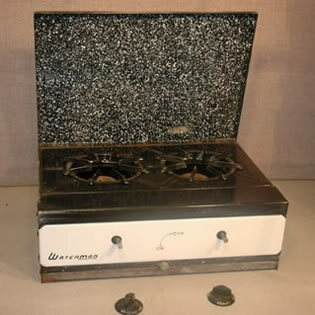 I am looking for a replacement burner grate, 6″ diameter, for my 18″ 4-burner Waterman stove. How can I send you pictures of the grate I need? 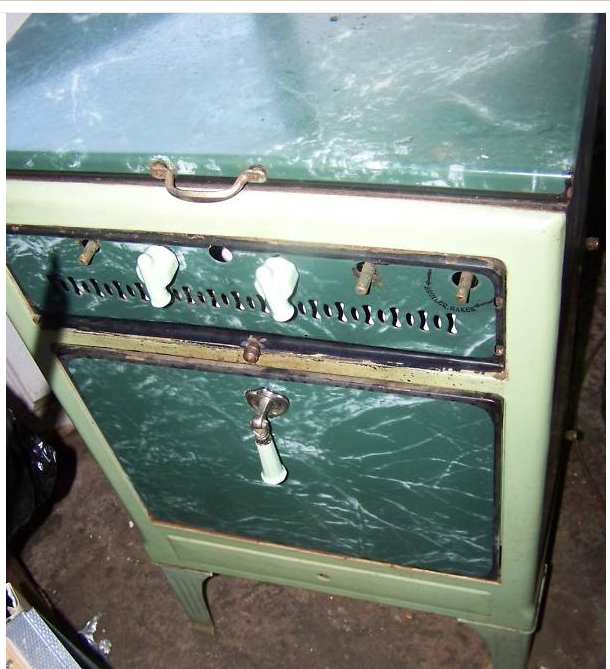 I recently created a stove parts page here, hoping to encourage people to offer small parts like burners for sale. If you have the broken burner, it is possible to have it welded. 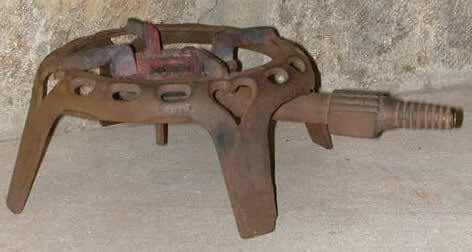 Not everyone wants to weld cast iron because it is somewhat difficult to do, but it can be done. 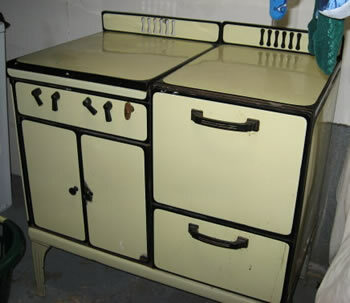 I have the exact same stove in Picture #8, and in yellow. I have been trying to find a Number for the Orifice because I need to replace them with a propane orifice as I am not in an area that has natural gas and am hoping someone out there would be able to supply that information. Do you have a set of numbered drill bits? Can you determine the # of the existing orifice? That is a good start since the sizing is relative to BTU output. Please do report what you have learned! No, I do not, but if you could let me know a size range than I can get them. One person mentioned that if it was # 53 than I’d use a # 51 after the existing hole was filled. I know a machinist who can do that type of work. Unfortunately I do not have a precise number for you, and have also found very little on the subject online. What little I have found is posted by people who are converting their BBQ grills from LP to NG. Their methods suggest experimentation – start small, test, drill out to the next larger size, test, etc. Yes, theoretically any stove can be switched over from natural gas to LP or vice versa if you can find a gas technician to do the job. Some stoves have threaded inserts for the orifices, others would have to be over-drilled or plugged/redrilled. I trying to find out any info on this furnace my parents have. My dad used it for years to heat his garage. 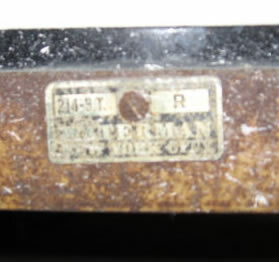 It came out of an old school house that was in there back yard when they bought the property.It is just a big round stove i believe it was coal at one time.On part of the door says Waterbury Seamless registered u.s. pat office then at bottom of door says S-7 Square Steel Waterman Waterbury Minneapolis I could send you a picture if you have an address to send it. Any info would be great or anyone who has one in good usable cond. would be awesome as this one is getting real thin on top an kinda afraid to use it anymore. Dad used it for 50+ yrs. 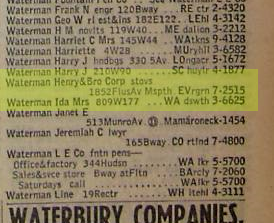 Waterman Waterbury from MN is a different company than Henry Waterman in New York. Sorry, I do know anything about the Minneapolis company.